I find great peace in a walk in the woods. And I usually find something that causes me to pause and look closer. I appreciate these simple moments of time and reflection and know I am lucky to have the opportunity to be a woods watcher, especially when the woods are like those I have walked in this past week. Sometimes you find things that you either don’t expect or that fire some neurons in an unexpected way. I had two such moments in recent walks. 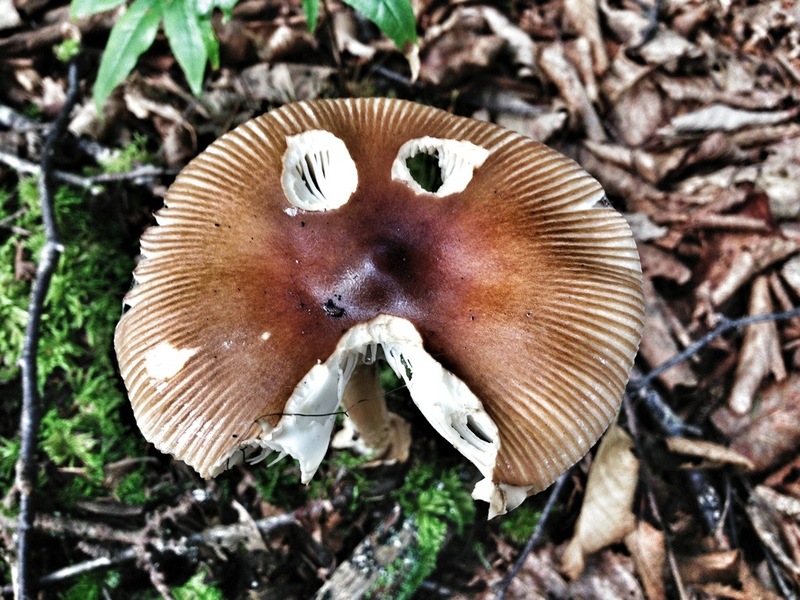 On a quick stroll at Quoddy Head State Park I saw this mushroom staring up at me. It isn’t often I frown in the woods so I was a bit taken aback by the gloomy glare of this fungus. A quick snap with the iPhone and I moved on, wishing the next critter to take a bite would result in an attitude adjustment. The next trail side countenance was a bit more surprising. 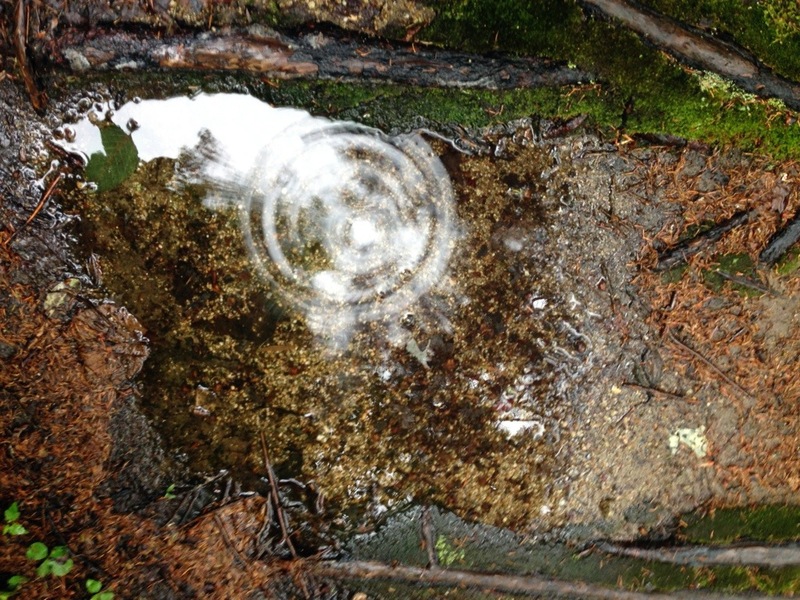 The rain had just stopped when I strolled down a path in New Hampshire and came upon a puddle. I remembered a striking photo a friend had taken of water droplets in a woodland pool so I stopped to give it a try. The first few pictures yielded nothing special or no drip pattern at all. Then I looked closely at the last image on my phone and it made me smile. I am usually happiest when I am in such places but it is a bit rare when the feeling seems so mutual. And for the record, this image is real with no adjustments other than a slight crop. 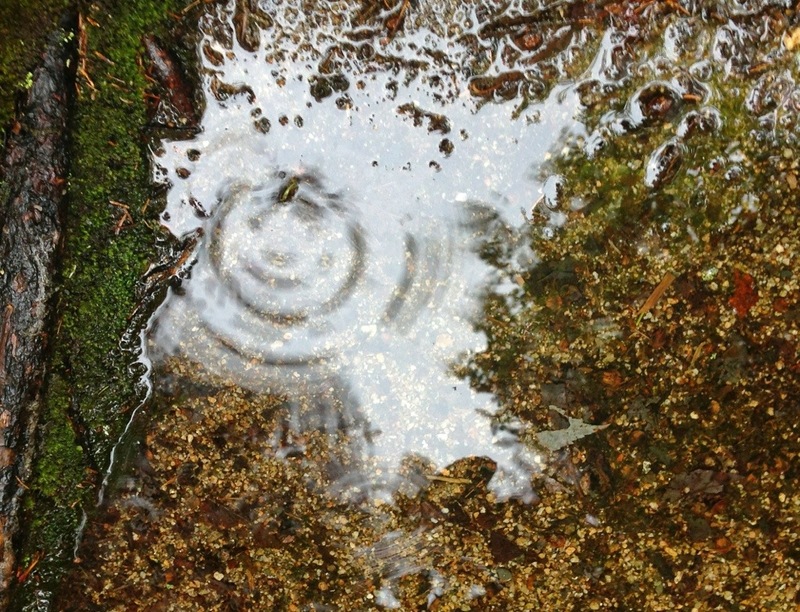 This entry was posted in Nature Photography and tagged Patterns in nature by roadsendnaturalist. Bookmark the permalink.